Earn 380 loyalty points when you order this item. 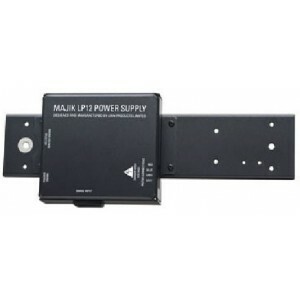 Linn Majik LP12 power supply unit (PSU) fits inside the Sondek LP12 and supplies consistent, low-noise power to the motor for a neat and reliable motor control solution. The power supply filters extraneous mains noise, reducing judder in the motor for stability of speed, an important factor in producing high quality audio performance from the turntable. This is a great starting point for any LP12 set-up, the Majik LP12 Power Supply turns the platter at a constant 33.3 rpm. Speed can be changed using the the optional 45 rpm adapter. Please note: this power supply is for 33 rpm only. Please look to the Lingo power supply for 33/45 rpm.